Arrival at Portblair Airport. On arrival meet & greet our local assistance. Head towards your Hotel in your pre booked vehicle. 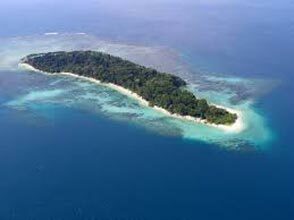 The Andaman Islands are still the ideal place to get away from it all. Its lovely opaque emerald waters are surrounded by primeval jungle and mangrove forest, and snow-white beaches that melt under flame-and-purple sunsets. Later start the breathtaking trip to Corbyns Cove Beach, one of the most picturesque, coconut palm fringed beach, 7 kms away from Port Blair town, and to the Cellular Jail, a place of pilgrimage for all freedom loving people. One can also view the history of the heroic freedom struggle which is brought alive in a moving Light & Sound Show at the Cellular Jail. Return to hotel. Overnight in Port Blair. Early morning departure by inter-island ferry to Havelock Island (54 kms by sea from Port Blair). With snow-white beaches, teal shallows, a coast crammed with beach huts and some of the best diving in South Asia, Havelock has a well-deserved reputation as a backpacker paradise. Enjoy your afternoon at the World Famous Radha Nagar Beach (Beach number 7), it is one of the most popular beaches on Havelock and was named "Best Beach in Asia" in 2004. Overnight at Havelock. After breakfast you may enjoy your day simply by sitting at beach & relax. 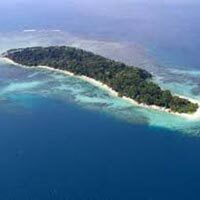 You may also take an optional tour to Elephant Beach, approximately 20 minutes by boat from the Havelock Island dock. The boat ride to Elephant beach passing through the light house is amazing. Snorkeling can also be enjoyed there. Overnight in Havelock.